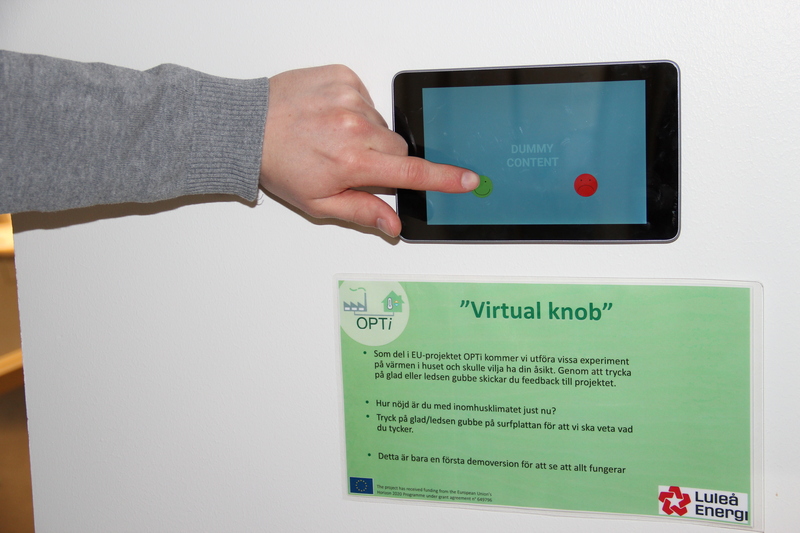 The first version of the virtual knob developed by RWTH is being tested at Luleå Energis office building. Right now test are being performed to lower the peak loads during certain hours in the mornings and afternoon. In order to ensure that a good indoor temperature is maintained, the staff can press green or red smiley-face depending on experienced comfort. The results will then be used in the OPTi-project when evaluating the test period.